OVESCO investors visit one of their solar panel installations on the roof of Priory school in Lewes, East Sussex. The community energy company OVESCO in Lewes is at the vanguard of a community energy revolution. There are many hurdles to setting up a community energy company, and not all communities have the expertise available to succeed at present. OVESCO is giving residents the opportunity to take a stake in locally generated renewable energy and helping similar groups start up across the country. OVESCO has assisted over 30 community energy groups, generated 185 MWh and saved 110 tonnes of C02 emissions yearly. OVESCO has installed five community-owned solar PV systems totalling 191 kWp so far. OVESCO has provided assistance to over 20 community energy groups and also set up Community Energy South. OVESCO is at the vanguard of the community energy revolution. We were impressed with its commitment to passing on its technical and practical know-how to other community energy organisations, which will help the sector really take off. The community energy company Ouse Valley Energy Services Co. (OVESCO) in Lewes is at the vanguard of a community energy revolution, giving local residents the opportunity to take a stake in locally generated renewable energy and helping similar groups start up across the country. 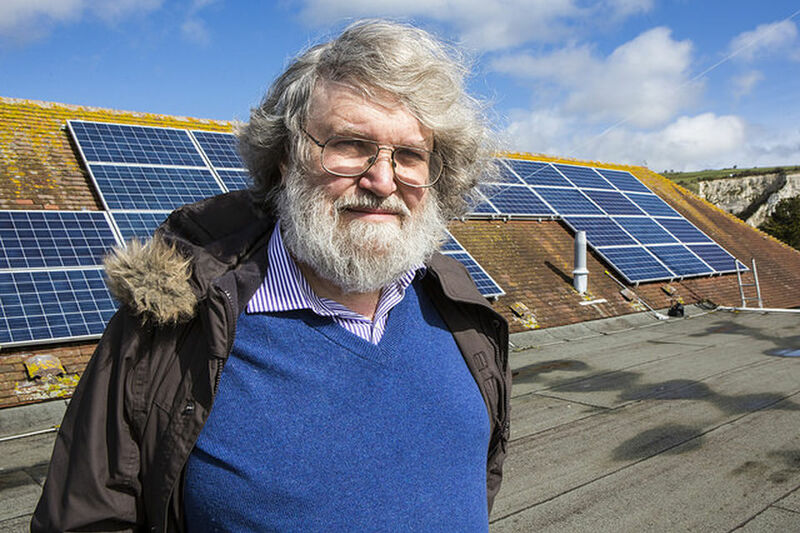 Formed by members of Transition Town Lewes in 2007, the company has installed solar panels on the roofs of two schools, a farm, a nursery and the town’s local brewery, with more than 250 shareholders benefitting. With dramatic plans for expansion, OVESCO is also dedicated to passing on its know-how to other community energy groups across Southern England, and is a mentor in the Government’s Community Energy Peer Mentoring Scheme. OVESCO has installed five community-owned solar PV systems totalling 191 kWp so far, funded through two over-subscribed community share offers, and it has funds in reserve to build a further 30 kWp system in the coming months. The five systems installed are all currently in operation, and are expected to continue working for 20 years or more. They produced 60 MW of energy in 2013 while 2.7GWp of solar PV has been installed in the UK by the end of 2013. Between 2011 and 2013, OVESCO provided assistance to over 20 community energy groups, at least 10 of which have installed renewable energy equipment, and also set up Community Energy South. In 2014, OVESCO started a formal mentoring process with 12 further community energy groups, as part of the Community Energy Peer Mentoring Scheme. OVESCO’s currently installed solar PV systems generate about 185 MWh/year, an average of 0.968 MWh per kWp installed – higher than the typical 0.8-0.85 for the UK because of the relatively sunny location near the south coast. Assuming a carbon intensity of 0.44548kgCO2/kWh for the UK national grid, this represents an annual saving of about 82 tonnes CO2. Nick Rouse, technical director of OVESCO and investor, visiting one of their solar panel installations. The main social benefit of OVESCO’s work is the income that investors receive – as 90% of them live in Lewes itself, the money generated as a result of installing the solar panels is available for spending in the local community. In addition to this, some investors opted to donate their dividends to a community fund, raising a modest sum for OVESCO to spend on projects to directly benefit local people. The hosts for the solar PV systems have also got involved, with Harveys, the local brewer, producing a special ‘Sunshine Ale’ to commemorate their installation, and OVESCO visiting host schools to run assemblies and talk to the pupils about the solar panels on their roofs. Investors in OVESCO have a clear economic benefit, receiving a dividend of 4% on their investment (after an initial two year ‘dividend holiday’), at a time when interest rates on saving accounts are much lower. Some investors also received tax relief of 30% of the value of their investment, under HMRC’s Enterprise Investment Scheme, further boosting the local economic benefit. Local energy partnerships have additional benefits: for example, at Barcombe Nurseries the OVESCO solar PV panels help reduce the cost of running on site chillers. The Nursery sells local organic produce and benefits from spent hops supplied by Harveys Brewery (another OVESCO solar panel host) to mulch their greenhouses. By working together OVESCO, Barcombe Nurseries, Harveys, local installers and investors are building economic resilience. OVESCO has also taken on volunteers several times, giving them a valuable opportunity to get practical work experience in the community energy sector. 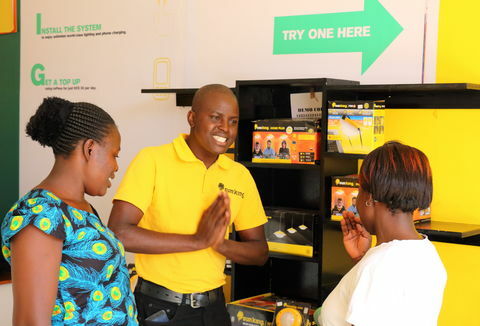 In two cases volunteers went on to work at Pure Leapfrog and Ashden Award winning Parity Projects, while others have been sufficiently inspired to study on courses related to renewable energy. In 2013 a developer attempted to get planning permission for a 14MW solar PV farm near Lewes, but without engaging with the community – they met with significant opposition and planning was refused. However, OVESCO has turned this into an opportunity, by using its local reputation to win support for a more appropriate 5MW scheme on the same site. It is currently carrying out a feasibility study, funded by the RCEF, and hopes to be in a position to run a share offer and complete installation during 2015. Once built, such a project would increase OVESCO’s income significantly, allowing it to employ at least one full-time member of staff and expand its efforts to replicate its work in other nearby communities. We want to see a community energy revolution in the UK and make the transition to a resilient low carbon future. OVESCO operates by raising money from the local community to invest in renewable energy generation technology, installed on public or commercial buildings in and around Lewes. The money earned from electricity generation and the Feed In Tariff is then used to fund operations, repay investors and benefit the community. Delivering such projects involves several stages, including locating potential sites for installations, getting planning permission, carrying out publicity, running a share offer, managing an installer and then maintaining the installed systems for 20 years or more. Any type of renewable energy technology is suitable for community energy projects, but OVESCO chose solar PV, rather than wind, hydro or biomass, as it is the simplest technology to install, is generally acceptable from a planning point of view and requires little maintenance after installation. OVESCO’s existing solar PV arrays have been installed on the roofs of buildings, including schools and local businesses. Inverters are used to convert the electricity produced by the solar panels into a suitable voltage and frequency to feed into the mains supply of the host buildings. 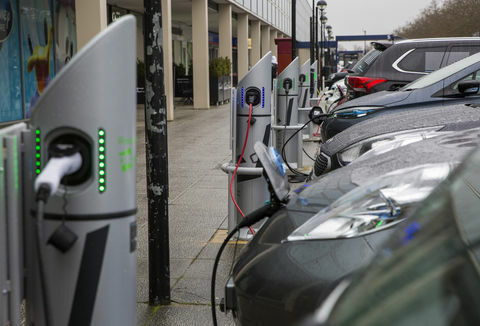 The electricity produced is used within the host buildings, with any surplus being exported into the local electricity grid to be used elsewhere. Metering the amount of electricity generated is always required, and larger installations also require a meter to measure the amount of electricity exported into the local grid. Maintenance requirements are minimal, and OVESCO retains the responsibility of keeping the systems operating efficiently. The community of Lewes and nearby villages are involved directly as investors – 254 people, 90% of whom are local to Lewes, have put money into the co-op so far, and are able to vote at meetings. Investors and other local people have also got involved as volunteers, including students from nearby colleges on work experience, helping OVESCO with site surveys and marketing. Throughout the last four years we have found OVESCO to be consistently generous and supportive of other groups like ours. Their trailblazing work has been inspiring, and continues as an exemplar of what community-owned projects can do. How much does it cost and how is it financed? OVESCO is financed almost entirely by its investors – the 254 local people who have contributed a total of over £441,000 through two share offers. In addition to this it also took a £50,000 loan from Pure Leapfrog at 4% interest, which it is repaying over five years, and has received a £19,800 grant from the Rural Community Energy Fund (RCEF) to carry out a feasibility study on a field-scale solar PV system. The cost of installing solar PV systems has been falling dramatically since OVESCO’s first project, from £3,100 per kWp installed in July 2011 to £1,400 per kWp in September 2013. Prices are expected to continue falling, but not as quickly, because the solar panels now only make up about half the installed cost, and the other components, including labour, are not all falling in price. OVESCO’s efforts to replicate its work in other local groups were initially funded from its income and through volunteer time, but are now also being funded by the government’s Community Energy Peer mentoring Scheme, which has provided £45,000, and West Sussex County Council, which has matched this with a further £50,000. OVESCO IPS is a Society for the Benefit of the Community as well as a cooperative, so is required to benefit the broader community as well as its members. 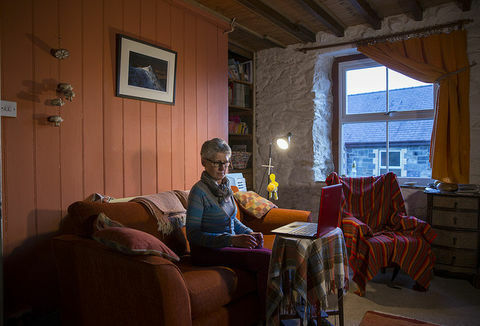 OVESCO’s meets this requirement by encouraging and assisting similar community energy groups that are at an earlier stage than it is, as it recognises that its hard-won experience can help these groups get up and running more quickly. OVESCO makes its own expertise available to these groups, and also brings in key partners to advise on aspects such as registration with the Financial Conduct Authority, drawing up leases and technical specification of projects. How are other groups assisted? OVESCO initially assisted other community energy groups this by giving talks and workshops in nearby towns and villages, providing technical assistance, helping with site assessments and influencing local planning authorities, but it has now started two new programmes of work. 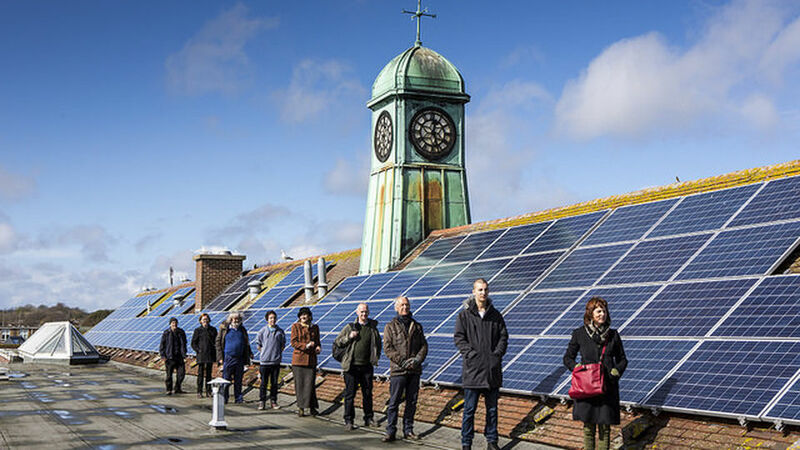 The first is Community Energy South, an association of community energy groups in East and West Sussex, which was founded in September 2013 after OVESCO co-hosted a conference on community energy with Co-operatives UK and Forum for the Future. This association aims to allow the groups involved to provide mutual support for each other, to inspire more groups to form and to build up the local renewable energy industry. The second new area of work is the Community Energy Peer Mentoring Scheme, through which OVESCO has received funding from the Cabinet Office and West Sussex County Council to mentor local community energy groups through the process of incorporation, running a share offer and installing their first community-owned solar PV array. The mentoring is delivered through a series of workshops, materials to be adapted for use by the local groups and professional support.